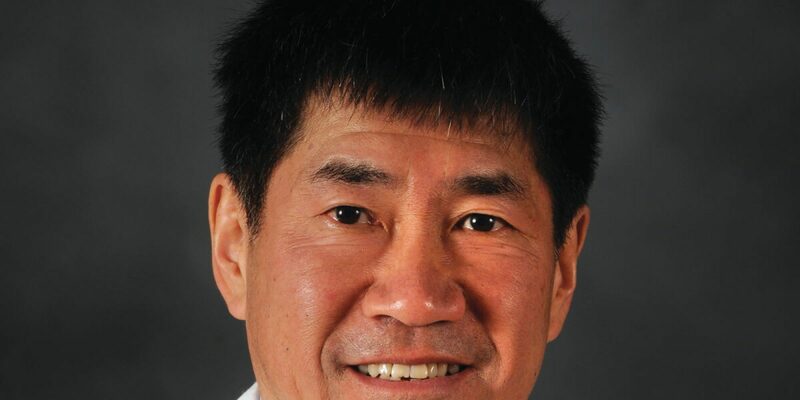 Guest Bio: Dr. Nathan Wei (pronounced ‘way’) is a nationally known arthritis expert and former consultant to the National Institutes of Health. He is the author of more than 65 articles in peer reviewed literature and has appeared on NBC TV, CNBC, PBS, The Leading Experts Show, and has been featured in Arthritis Today, Women’s Day, The Washington Post, and Martha Stewart Living. 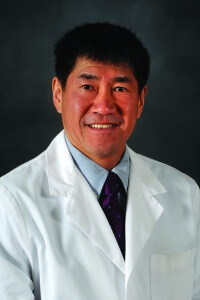 He has international reputation for his expertise in regenerative medicine and innovative procedures. Segment overview: Dr. Nathan Wei, MD, a board certified rheumatologist, discusses stem cell therapy for osteoarthritis. Neal Howard: Hello and welcome to Health Professional Radio. I’m your host Neal Howard, thank you so much for joining us today. Our guest in studio today is Dr. Nathan Wei, nationally known Arthritis Expert and Consultant. A graduate of Swarthmore College and the Jefferson Medical College, completed his residency at the University of Michigan in Ann Arbor, Michigan and his arthritis training at the National Institutes of Health in Bethesda, Maryland. He’s also a former Consultant to the National Institutes of Health and he’s with us to talk about stem cell therapy treatment for osteoarthritis. Welcome to Health Professional Radio Dr. Wei. Dr. Nathan Wei: Thank you Neal. N: Osteoarthritis, how is it differ from the other common forms of arthritis that we’re so used to hearing about? W: Well actually osteoarthritis is the most common form or arthritis and is the one we typically think about. It affects anywhere from 30-50 million Americans and unfortunately until, let me first describe what it is. It’s a wear and tear disease that affects cartilage, the gristle that caps the ends of long bones and affects primarily weight bearing areas such as the low back, the hips and the knees. Now up until recently, all we’ve had are symptomatic therapies, therapies that reduce pain and relieve pain. And while that’s admirable the real target, the cartilage we have not had therapies that can help restore cartilage but that is where we are heading right now. N: Now you say we’re heading toward therapies where we can actually replace or regenerate cartilage that’s been worn down, is that correct? N: How far are we into this research and development? Is this something that we can expect doctors such as yourself to be advising us on when we go and talk about our joint pain? W: Yes, as a matter of fact we’re already conducting clinical trials in the use of adult stem cells to treat osteoarthritis of the knee. N: Stem cells. Lots in recent past years, more than recent years, controversy over stem cell research and you say adult stem cells. Are these stem cells that you voluntarily give up for this particular procedure or is this something that you can do in anticipation down the line and have them stored? How does it work? W: Yeah, there are two basic types of stem cells. The embryonic ones that you mentioned and which are pretty much…with controversy and then there’re the adult-derived stem cells. These adult stem cells can be obtained either from the patient themselves, from bone marrow or fat, those are the two most common areas. Donors themselves, from healthy donors and the final type what are called induced pluripotential stem cells. These are stem cells that have been manipulated in the laboratory, these adult stem cells that have been manipulated in the laboratory to behave like embryonic stem cells. N: Is this a manipulation of DNA to I guess send a different message to these stem cells in order to get them to act like embryonic stem cells? And if that’s the case, how do you ensure that they continue to behave in that way down the line? W: Yeah, the technique itself is very complicated when it comes to the induced pluripotential stem cells and that’s why we’re probably several years away from actually using them. I think right now the areas where people are most interested, researchers are most interested and particularly people like us, clinical investigators are the adult stem cells obtained from either the patient or healthy donors. N: Now do these healthy donors, do they have to have the same I guess DNA makeup being a relative close or otherwise? Or is it simply someone who’s healthy enough to donate such as plasma donor or blood donor? W: Primarily a healthy donor and the reason is that when you get stem cells from a donor, a stem cell is a cell that is pretty much a blank slate cell, it can be turned into anything you want. So that you don’t really have to be that concerned about say rejection for example. So that’s what makes the healthy donor stem cells attractive. N: Is this stem cell research even in its infancy in clinical trials, is it something that’s promising for a multiple types of arthritis that fall in that osteo category? W: We actually conducted and completed a clinical trial recently in the use of donor stem cells to treat rheumatoid arthritis. So there is interest in the use of stem cells for different types of arthritis. The one that I think is most important of course in osteoarthritis because it’s so common so that’s where most of the research is. N: Now as the Author of many, many articles, are your articles more geared toward research professionally already or get some of these information into our schools so that it can be perfected in the professional world or is it a combination of the two when it comes to writing articles? W: Articles are pretty much divided into two categories, there’re the academic articles that we’ve written that are primarily geared towards publication in scientific journals. The other types of articles we write are educational articles to keep people abreast of some of the new techniques and developments in stem cell research. N: Do you find that some of this is creeping into universities in some of your talks and lectures or even some of your media appearances? Are you hearing rumblings that some of these new techniques are being considered in some of our colleges for some of these kids coming out? W: There’s really good basic stem cell research being done at a number of teaching institutions. Mostly in animal models so far but we do, we have had some clinical trials involving human volunteers to have significant osteoarthritis in the knee. N: Do you ever find that a combination of say stem cell therapy and regenerative treatment is performed? W: I think that’s pretty much where research is heading right now because you have this blank slate cell, the stem cell and you need to make it work so adding different types of growth factors and other things that will trigger stem cell multiplication and differentiation is I think going to be very important. N: Well I’m hoping that you’ll come back and speak with us in some future segments Dr. Wei. W: It would be my pleasure. N: You’ve been listening to Health Professional Radio, I’m your host Neal Howard. And we’ve been in studio talking with Dr. Nathan Wei, arthritis Expert and Consultant. He’s been here with us talking about some of the latest stem cell therapy treatment research into osteoarthritis. You’ve been listening to Health Professional Radio, I’m your host Neal Howard. Get copies of the audio and transcripts of this program at healthprofessionalradio.com.au and also at hpr.fm and you can subscribe to this podcast on iTunes.